World Jungle, is delighted to have received support from Gloucestershire County Council to establish a ‘Full of Life’ Community Hub at the Chantry Centre in Dursley in the new year, focused around promoting health and wellbeing for older people in the local area. “The actual programme will be led by what people tell us they want. 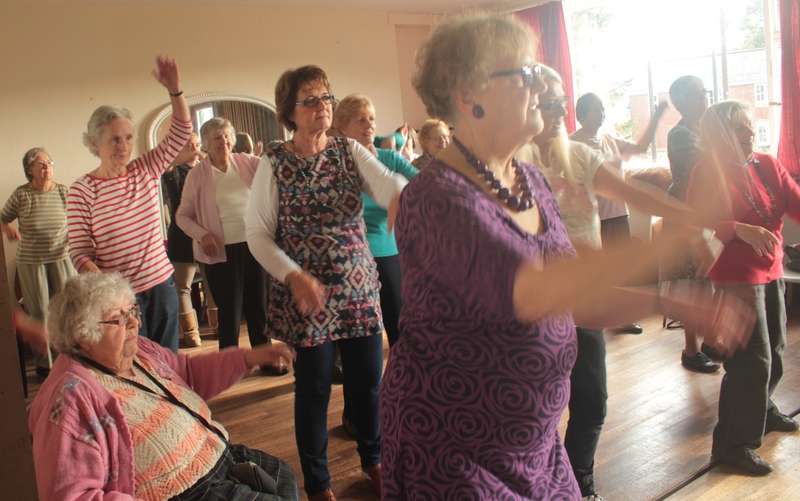 We have a list of initial suggestions including fitness classes, green gym, gardening, dance, arts & crafts and tea dances. However, one of the main purposes of the project is to establish a group which belongs to and is led by the people who use it. We are very keen to hear from people who would like to get involved with helping to shape the group and are holding an open coffee morning at The Chantry Centre on Thursday 8 January at 10am. The Full of Life Community Hub will then be launched on Thursday 29 January, with a morning of activities including Tai Chi and dance tasters, health & beauty treatments together with the opportunity to have a cup of tea and a chat with friends in a relaxed and friendly environment.